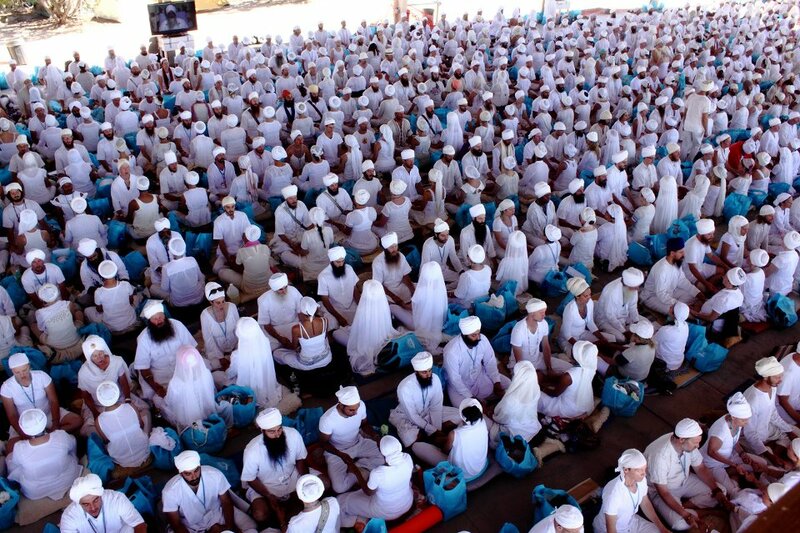 Ram Das Puri is “home” to many people. 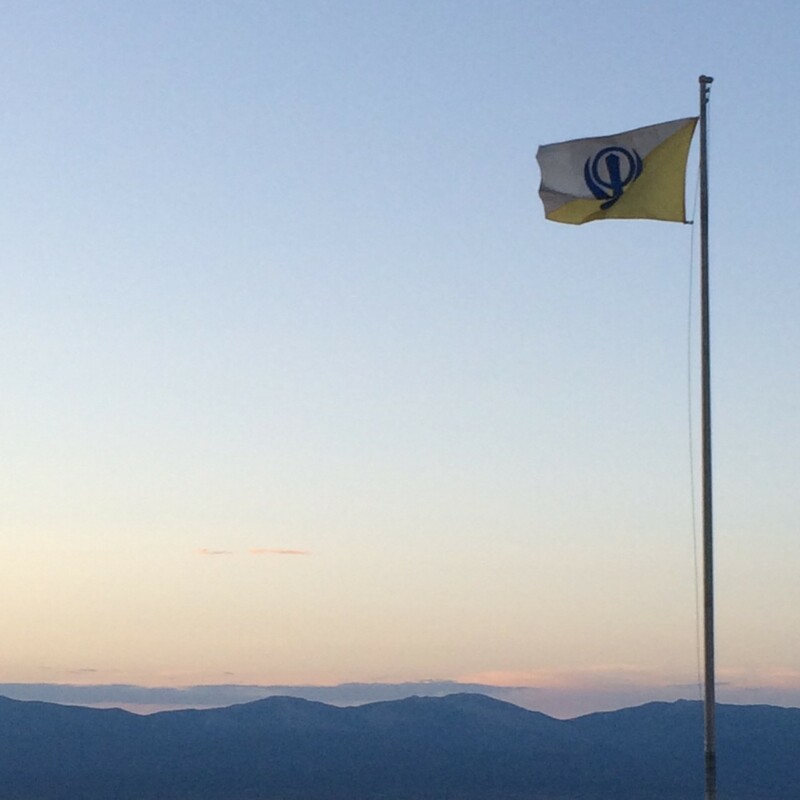 When you arrive on the mountaintop, you immediately feel the healing of this sacred Native American land beneath your feet, and you witness the divine above in the sky. An endless expanse of blue in the day and a starry portal to a place beyond time and space at night, you can receive a glimpse of Heaven on Earth in the auspicious hours of Amrit Vela. On the opening day of Summer Solstice Sadhana, Ajeet Kaur joined her mother Hari Kirin on stage for their workshop, “Healing the Feminine and Masculine in the Aquarian Age.” This class served as both a personal healing journey and as an opening ceremony to connect with the land. As Hari Kirin guided us in the warm-up exercises, kriyas, and meditations, she continually reminded us to reconnect with the Earth. 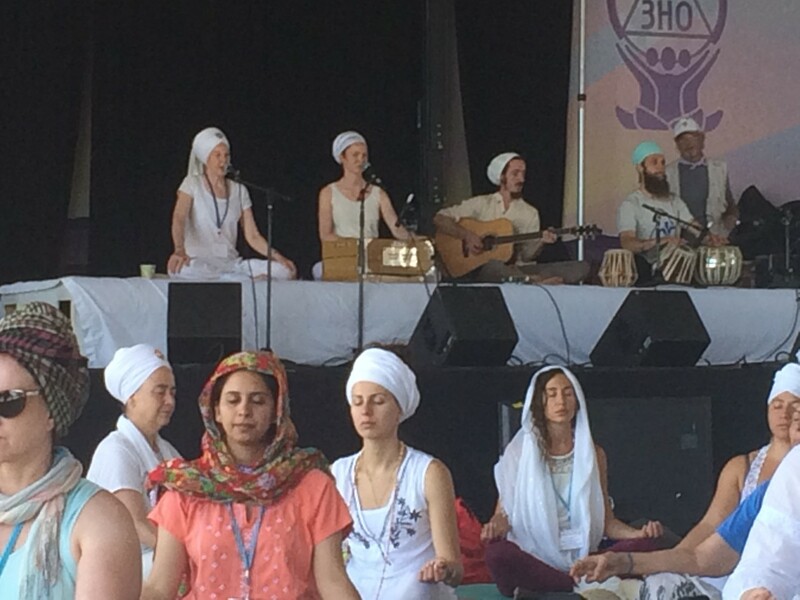 As we practiced the Kriya for an “arcline tune-up,” Ajeet Kaur sang Peace (Ong Namo). The first time that I heard Ajeet Kaur sing at Sat Nam Fest, I was moved to tears by the sweetness and sincerity in her voice. The sound she creates is a direct channel to the divine. Once again, as she sang, I was overwhelmed with emotion and swept away by the current of her naad. 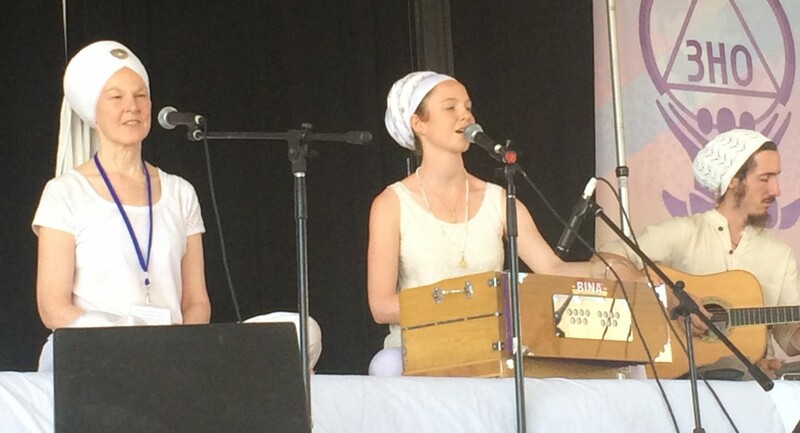 At Sat Nam Fest, Ajeet dedicated the “Ma” meditation to her grandmother, and to all women. Now at Summer Solstice, I was reliving the same experience as her voice carried me to a place of deep connection. As I chanted “Ma” with Ajeet and the class, I revisited a place of deep connection. My voice was calling in my mother, grandmothers, and my maternal lineage. As I sang, I was reconnecting to the land and my plant brothers and sisters. As I chanted “Ma,” I was remembering the souls of all of the people who gathered on this mountain for healing. And with each sacred sound, I could feel my roots growing from my heart down through my pelvic floor and into the heart of the Mother. At the end of the Ma meditation, I felt home. The gift I received from this class is this: We are all connected by the Earth, our World Mother. To heal ourselves is to heal another and to heal the Earth. When we come home, we arrive to a place that is beyond time and space. When we feel at home we are in the heart of the Divine Mother. Thank you for sharing what’s in your heart Allison! I feel like I’m there. It is still a dream of mine to attend a summer solstice. I’m tuning into the healing vibrations of our beloved sangat, like a mycelic network of love. From my heart to yours, Sat Nam! Thank You Harkamal Kaur! What an incredibly beautiful description you wrote of the kundalini sanagat <3 Wishing you the best! Sat Nam!